How do you chart something as fluid and changing as your mood? Inspired by the mood rings I loved as a child, I tracked my mood hourly over the course of four months. 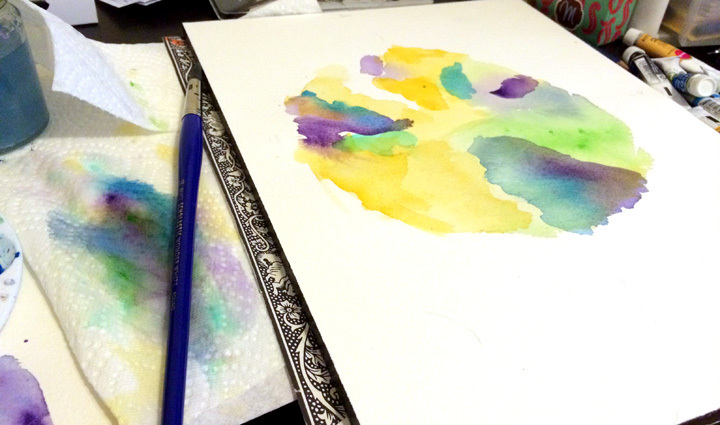 I chose watercolors because they are imprecise and flow together, creating dreamy swirls that blend into each other. I created a chart for the overall four months, pulling out specific positive and negative events. I then painted charts on a more micro level, focusing on one month, and then on only one day. This project led to a guest post on Visual Loop & creating a laptop cover for a series of artist-designed laptop sleeves.